If you are in charge of acquiring health insurance for your company, you may be weighing your options. Small businesses are often pulled towards traditional health insurance as it provides optimal flexibility, allowing employees the option to visit a wide range of doctors and hospitals. However, traditional health insurance is often more costly than managed plans, which can be a major downfall. As no one plan is best for every company, take the time to compare the different types of health insurance and choose based on your business size, budget, and similar factors. A health maintenance organization (HMO) is a type of managed care health insurance. With an HMO, members must have a primary care physician and seek a referral if they need treatment from a specialist. An HMO also requires members to use in-network providers with the exception of true emergencies. If you choose an HMO for your company, your employees will have lower out-of-pocket costs, but less flexibility when getting care. 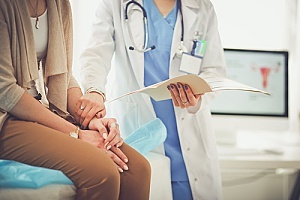 With a preferred provider organization (PPO), members are encouraged to use a network of participating doctors and hospitals, similar to an HMO. The main difference between the two is that PPO members are not required to choose a primary care physician and are able to see specialists without a referral. However, employees generally pay less out-of-pocket when they see in-network doctors. While having more flexibility is a major perk, PPOs are often more expensive than HMOs. You can expect your company’s monthly premium to be higher, and employees will have to pay more out-of-pocket for healthcare. Do not want to get referrals when visiting specialists. An exclusive provider organization (EPO) offers members a large network of doctors and hospitals to choose from. Healthcare providers that are out-of-network are typically not covered. With an EPO, members do not have to choose a primary care provider and do not need a referral to see a specialist. Like an HMO, members are responsible for paying out-of-pocket if they want to see a doctor outside of their network. With an EPO, you can expect lower premiums but higher deductibles when seeking health care. EPOs essentially combines the flexibility that comes with PPOs with some of the stricter guidelines common with HMOs, all at a price point that falls in-between the two plans. A point-of-service (POS) healthcare plan has elements of both HMO and PPO plans. Similar to an HMO, members are typically required to choose a primary care provider whom they will need to see to get referrals for specialists. Certain services provided by a PCP are not subject to a deductible, including most preventive care services. Much like a PPO plan, members are able to receive care from providers’ out-of-network. However, this generally comes with higher out-of-pocket costs. Members under POS plans may also be responsible for an annual deductible, coinsurance, and co-payments. High-deductible health plans (HDHPs) have higher deductibles and lower premiums than traditional health plans. The higher deductible can be combined with a health savings account (HSA) which allows members to pay for eligible medical expenses with free money from federal taxes. The Internal Revenue Service defines an HDHP as any type of healthcare plan with a deductible of $1,350 or more for an individual or $2,700 or more for a family. Total out-of-pocket expenses including copayments, coinsurance, and deductibles cannot surpass $6,650 for an individual or $13,300 for a family. 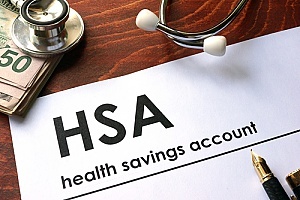 A health savings account (HSA) is a type of savings account that is available to certain taxpayers who also have a high-deductible health plan (HDHP). As a business, you can give your employees the option to set up automatic contributions directly from their payroll. Members can then receive a debit card or checks that are linked to the account balance. These funds can be used to pay for eligible medical expenses, including coinsurance, copays, and deductibles. HSAs have certain tax advantages that make them an attractive option. They are pre-taxed and tax deductible, meaning that the money grows tax free and can be used tax-free. 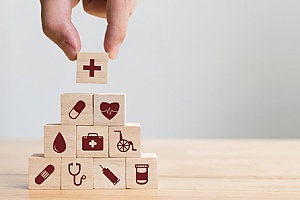 With all the different types of health insurance available, it can be difficult to narrow down the best one for your company. However, making this decision can have numerous benefits for your business. Providing employees with health insurance can boost employee satisfaction and performance and help maintain job retention. It is also important to remember that healthy employees are happy employees. Providing health insurance can also lead to some hefty tax credits for your business. There are different types of health insurance designed to meet the unique needs of different employees. Some of these plans restrict provider choices or encourage members to choose from a network of doctors and hospitals. Others allow members to see out-of-network providers at a greater out-of-pocket cost. To better determine the exact needs of your company and receive a recommendation based on our professional findings, contact a health insurance broker at BBG Broker.